Are you thinking of travelling either to the Airport or to any place in Gozo by public transport or looking to book a last minute taxi? We think that it is best to pre-book a private taxi service however if you made up your mind on travelling by public transport, we might offer you another solution last minute. 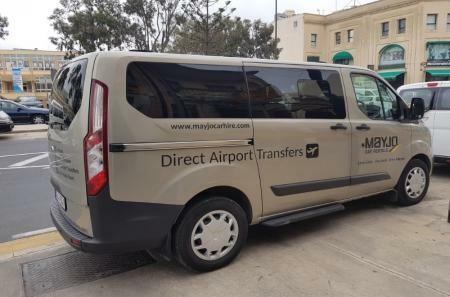 At this point, if you are travelling from Gozo going en route to the Airport, why not check whether one of our drivers is available on the same ferry as you will be on and that can take you to your destination at an advantageous rate? 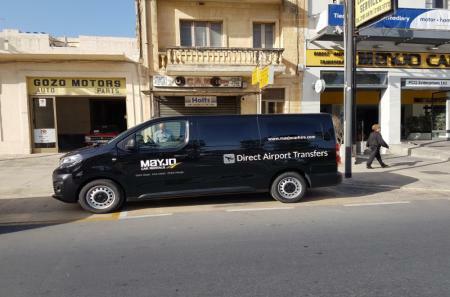 Alternatively, if you will be at the Airport and need to travel to Gozo, check what time a driver will be at the Airport and travelling along your route. The Pool a MAYJO taxi is a ride-sharing option. It is always advisable to pre-book your airport transfer the earliest possible in order to guarantee availability. Below You Can Find The List Of Available Taxi Pooling Options On Different Route Directions. Inform us which ferry from Gozo you would like to take, and approximate time you would like to get to the Airport or any other destination on the way. We will inform you of the available options. Inform us what time you will be at the Airport and approximate time you would like to get to Gozo. We will inform you of the options available. *** Cost per Person €: Cost per person is in euros and is applicable only from Cirkewwa Ferry Terminal to Airport or vice-versa. Different rates will apply for different routes, and this includes pick-up from any Gozo address. It is advisable to contact us the earliest possible on the same day, to allow time to make the necessary arrangements. If you would like to pool a taxi on the available times we will agree on a meeting point with the driver, upon confirmation of booking. The price per person for a pooled taxi starts from €5.00 with a minimum of €10.00. Different rates may apply for different routes. Therefore, if only one person is booked for the transfer, then the minimum price of €10.00 applies.